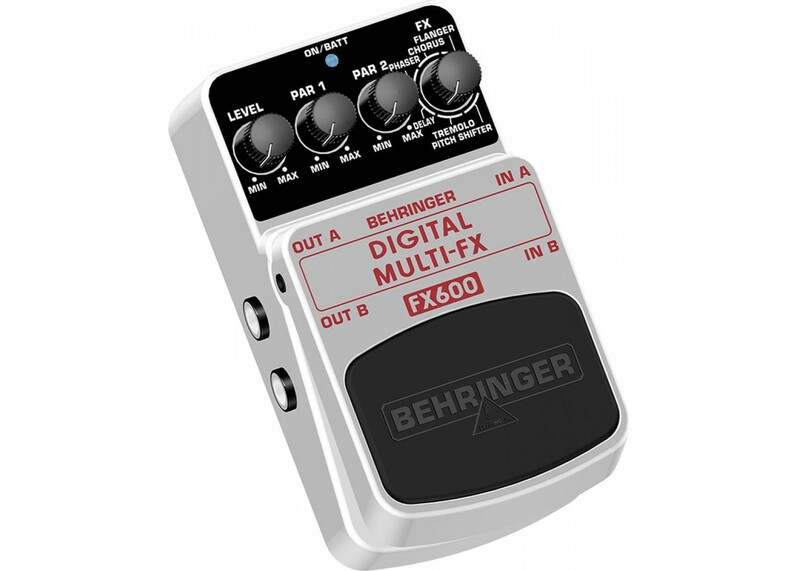 The DIGITAL MULTI-FX FX600 multi-effects pedal holds plenty of effects comparable to state-of-the-art studio processors in a small and handy stomp box. The FX600 features 24-bit high-resolution stereo effects including Flanger, Chorus, Phaser, Delay, Tremolo and Pitch Shifter. 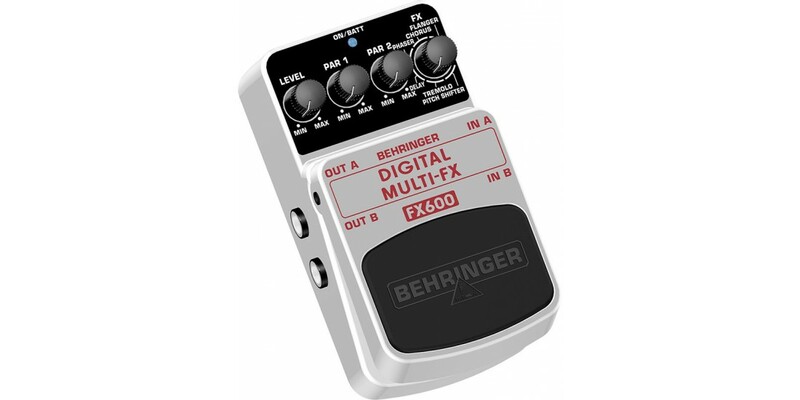 The 2 additional parameter controls allow you to adjust delay time, flanger rate, etc. A cool blue status LED for effect on/off and battery check plus a first-class electronic on/off switch for highest signal integrity in bypass mode are included. The FX600 runs on a 9 V battery or a DC power supply (not included). Get the FX600 and the ultimate FX machine!